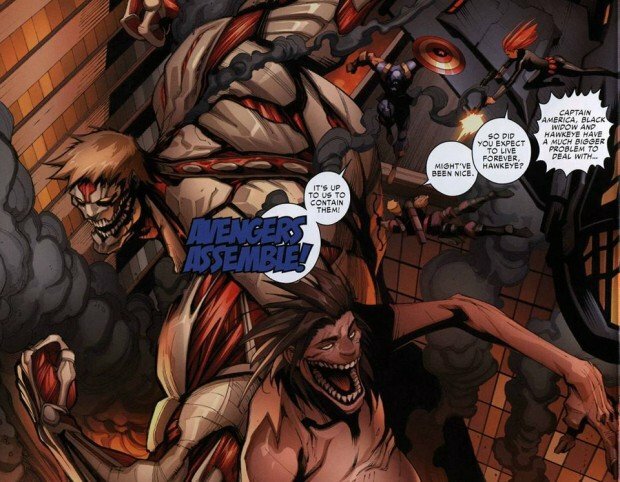 Many fans of Shingeki no Kyojin aka Attack on Titan were excited when a Marvel crossover comic was confirmed to be in the works. The comic was just released as part of the 790th issue of Japanese pop culture magazine BRUTUS. Redditor mika6000 scanned the entire thing. All eight pages of it. For fans, the real meat of that issue of BRUTUS is the interview with Shingeki no Kyojin creator Hajime Isayama, who also drew the cover for the month’s release.